« Is IMG Worlds of Adventure For Sale? Back in 2014, Theme Park University was the first to break the news about a revolutionary Cirque du Soleil Theme Park headed to Mexico. Scheduled to open in 2018, the park was originally designed by the Goddard Group and featured some concepts that had never been attempted before. However, between 2014 and 2018, not a word from Cirque du Soleil about the project has been mentioned. Here we are in March 2019 and somehow the Cirque du Soleil Park in Mexico is still happening (?). Despite all signs saying that it may never see the light of day, the similarities to the infamous Fyre Festival in the Bahamas are starting to add up. If you haven’t seen any of th documentaries about how a charismatic entrepreneur defrauded hundreds of people in a bait and switch concert event, I highly recommend checking them out on Hulu and Netflix. Now keep in mind, they are now referring to this project as “The Park,” which should throw up another red flag. More on that on a second. You may be wondering: who is Vidanta and how are they involved? 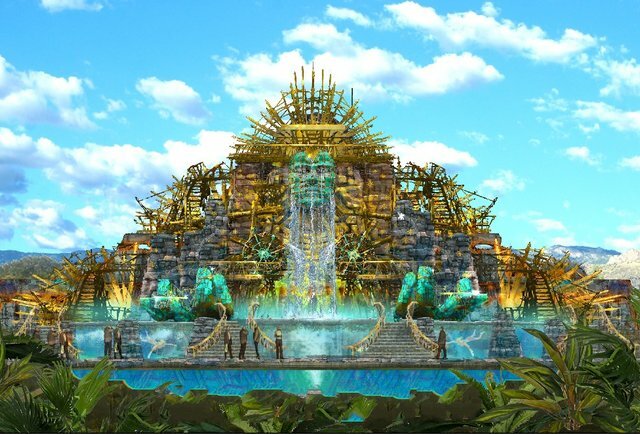 Without question, there wouldn’t be a (potential) Cirque du Soleil theme park in Mexico without Vidanta. In a nutshell, Vidanta operates mega-resorts all around Mexico that are sold as timeshares. The company was founded in 1974 and today has over 18,000 employees. To say they are a huge timeshare presence in Mexico is an understatement. In recent years, Vidanta has become pretty aggressive in adding value to their resorts. In 2014, they partnered to open JOYA at their resort in Riviera Maya. With just 600 seats (fairly small for a permanent Cirque installation), it was the first Cirque du Soleil show to feature an optional dinner element that allowed you to dine on unique food and drink while watching the show. During that creative process of bringing JOYA to life, Vidanta began to think bigger. Since both parties seemed to be happy with JOYA, they began brainstorming on a theme park concept. Before long, Vidanta secured to have the exclusive rights to a Cirque du Soleil theme park in Mexico. Combining a permanent theme park with one of the world’s leading theater troupe’s seemed like a no-brainer. However, from everything we can tell, this is strictly a licensing deal on Cirque’s end. Vidanta would be footing the bill and Cirque would be paid an undisclosed royalty fee. This is typical with licensed theme parks and the parent company would get a yearly fee along with a percentage of gate, merchandise and food sales. Despite having a huge media splash after the initial announcement in 2014, not much has happened since then. And everything (and I do mean everything) that we have read, heard and seen about the Cirque du Soleil park in Mexico since then has been questionable, suspicious and possibly even fraudulent. Cirque du Soleil Mexico …? Make no mistake about it, Vidanta is in the business of selling timeshares. Just like any company who offers this product, the prospective buyers sit through a sales pitch where someone tries to give them the benefits of owning at a particular property. In the case of Vidanta’s property in Nuevo Vallarta, their sales team has been pushing the idea of owning timeshares near a Cirque du Soleil theme park for about five years now. When are they saying the park will open? It depends on who you ask. If you hop over to a forum over on TripAdvisor, you can follow a thread of people who have visited Vidanta’s Nuevo Vallarta property and have been told all kinds of answers. Take a read through the forum and you’ll find people who got answers from 2019 to 2020 and beyond. This is not their only problem, according to a story from Reuters in October 2018, there are also environmental concerns. Environmentalists are saying Vidanta has excavated tons of rock and stone from nearby rivers in order to build the resort. As a result, locals are worried about flooding and other impacts that have been caused due to the river now being altered so quickly and drastically. While Vidanta has released statements saying they are committed to the environment, it seems very little has been done in terms of action. Cirque, on the other hand, has remained silent on the topic. As a matter of fact, Cirque du Soleil seems to have been dropped from Vidanta’s marketing, at least from the outside. Vidanta is now referring to the theme parks in Nuevo Vallarta as “The Parks”. Take a look at their own webpage spouting vague promises about what “The Parks” will be like to potential timeshare owners below. If you haven’t seen the page for yourself, I’ll save you some hassle. Want to know how many times Cirque du Soleil is mentioned here? Zero. Why wouldn’t you want one of the most respected brands in the entire world to be mentioned in your new park? Why are you showcasing artwork that was designed for a Cirque du Soleil Park, but not mentioning their name? More importantly, why is Cirque ok with all of this? Keep in mind, they have recently acquired Blue Man Group as well as The Illusionists shows. However, their location-based entertainment? Not doing too hot. Their venture with the NFL didn’t go so well after their location in Times Square closed after 10 months of being opened. 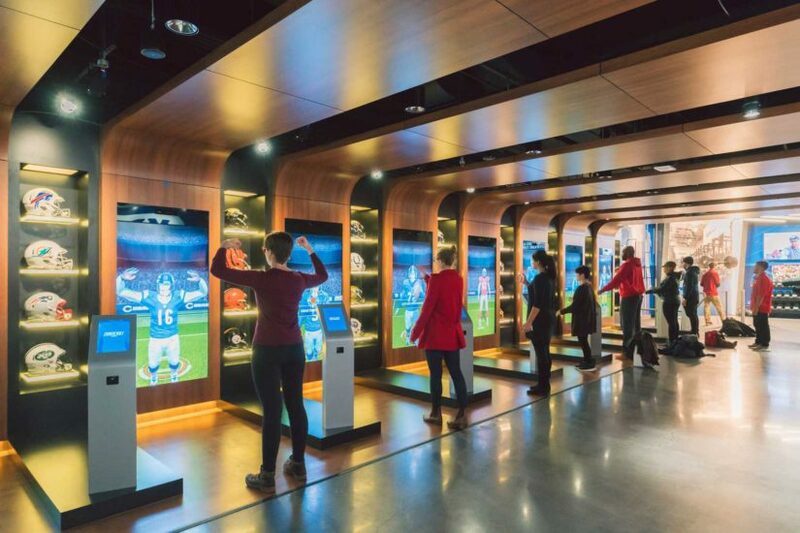 Visitors of the NFL Experience called it a ghost town and often were the only guests in the entire building during their visit. 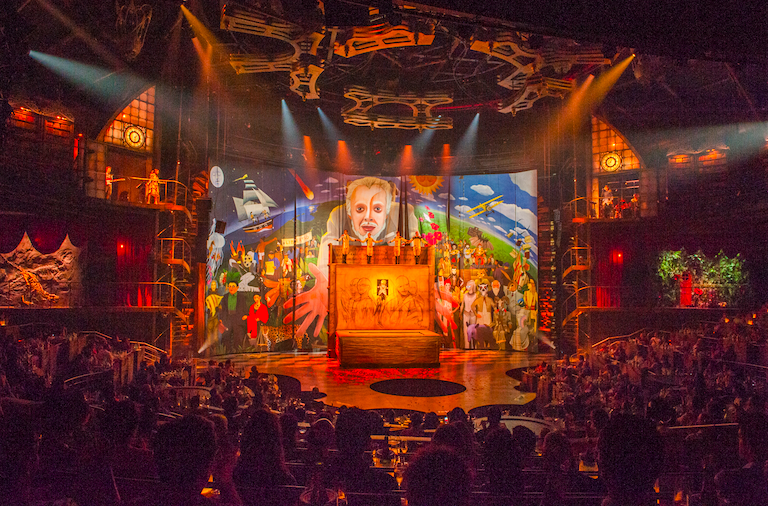 This was a joint venture that was created between Cirque du Soleil and Thinkwell. Also announced is Cirque Du Soleil’s “Creactive” family entertainment centers. A partnership with Ivanhoe Cambridge, who own malls across Canada, the new venture would be a place where could try new experiences. Trampolines, bungee jumping, and parkour are just some of the things you can try your hand at when the first “Creactive” opens in Toronto. Currently, “Creactive” is supposed to open in September 2019. While we can’t find any information to the contrary, it does seem like there could be trouble with this project as well. According to reports in February 2019, Ivanhoe Cambridge (who is financing this particular venture) is looking to sell stakes in 10 of their malls across Canada. Why? Online sales are crushing retail and it seems like they are trying to reduce risk before things get worse. Does this mean “Creactive” is cancelled? We have no evidence of that, yet no updates since the original announcement. Cirque du Soleil Mexico – ? Which brings us back to Cirque du Soleil Mexico. Without question, something is happening on the property in Nuevo Vallarta. Dirt has been moved. Towers (for timeshare hotels) have started going vertical. However, from all we have seen from various videos and pictures, nothing that resembles a theme park has even started putting steel into the ground. 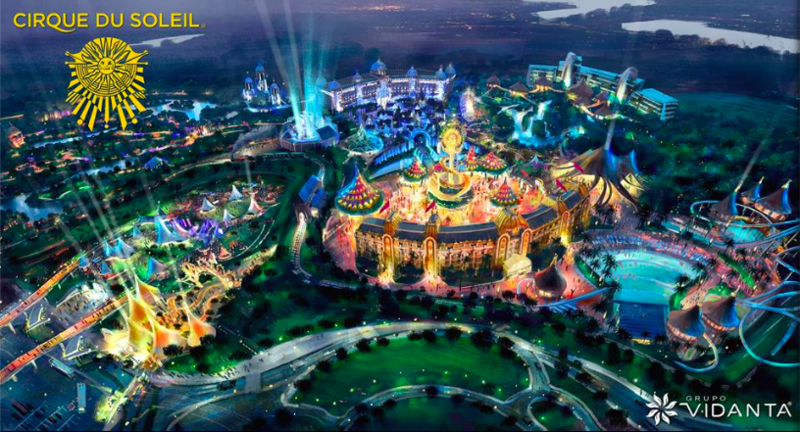 This isn’t to say the Cirque du Soleil theme park in Mexico will never happen. However, much like the infamous Fyre Festival, there are numerous red flags popping up constantly. How is there no opening date when one was announced in 2014? Why has Vidanta removed Cirque du Soleil’s name from their online advertising? What will the park even have? Will it be a water park? A theme park? An immersive park like Evermore? Or could this all be a smoke and mirror show so Vidanta can sell a few timeshares? We will continue to follow this story as it develops, but for now, I wouldn’t get your hopes up. Your thoughts? This entry was posted in Theme Parks 101 and tagged Cirque du Soleil Mexico, Fyre Festival, Immersive theme park, Vidanta. Bookmark the permalink. Trackbacks are closed, but you can post a comment.